Get an unparalleled taste of Cognac country during this in-depth insider’s tour, which covers three exclusive stops. Discover one of the region’s famous Cognac houses with a food-paired tasting. 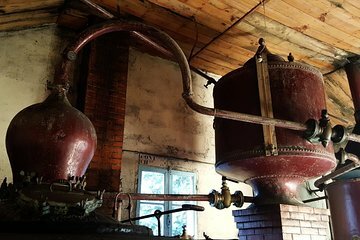 Most tours end with the luxury brands, but you’ll go deeper with a tour and tasting of a family-run craft distillery. Discovering Romanesque churches along the way, you’ll end the day at a French cooperage in the vineyard of Cognac, normally closed to the public. Please note that on weekends (Saturdays and Sundays) and in July and August, cooperages are closed. The visit is replaced by a winery visit.